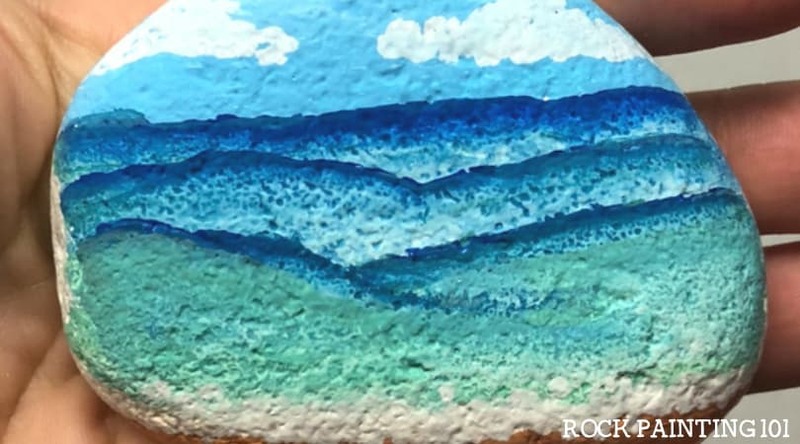 A washed out painting technique that’s perfect for rock painting or a beginner art project. This technique uses materials you probably have around the house. You don’t even need to own expensive watercolors or paint pens! 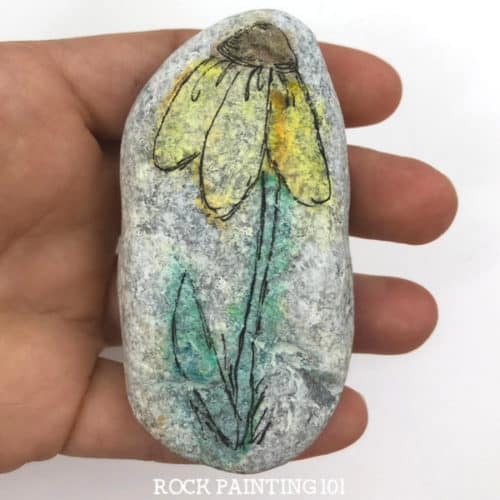 I’m obsessed with this fun new rock painting technique. You don’t need any fancy supplies. It dries fast. 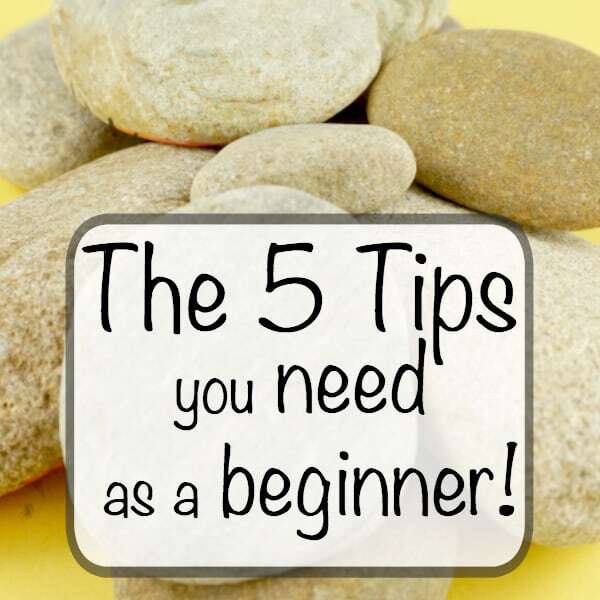 And it’s perfect for beginners. 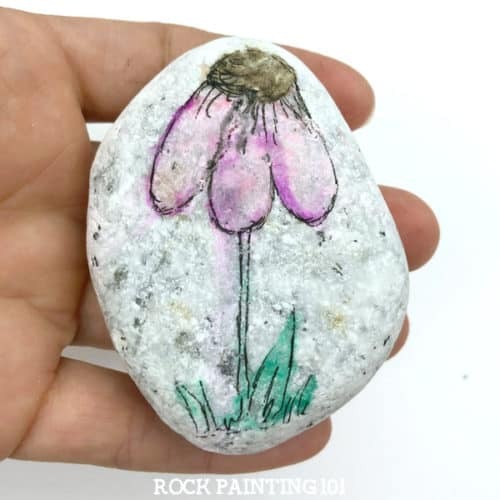 I was playing around with a rock painting idea for kids when I thought to myself, this is fun for me…the adult! So I started creating these lovely flower rocks and I’m in love with this method. I’ve seen this washed out painting technique done with special pencils. But I don’t have any of those. For this watercolor effect I just used washable markers and a Micron pen. 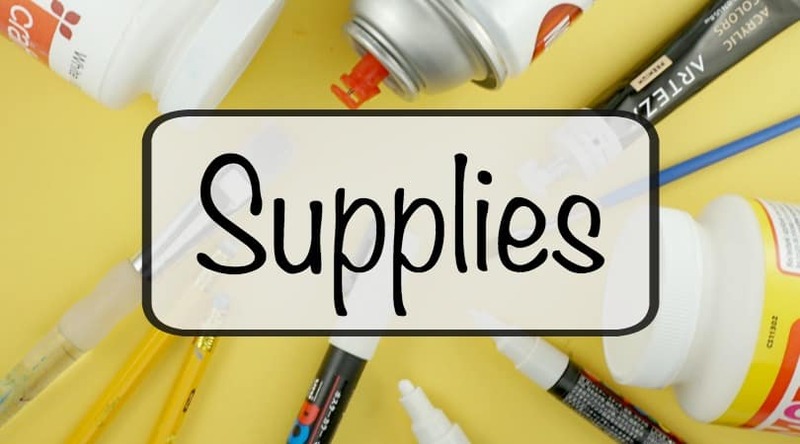 A couple other supplies you may want are a little dish to catch the water, some coffee filters to blot the painted area, and these fun pipettes. They will help get the water exactly where you want it to go. Take the washable marker and block out the shapes of your flower. Make sure you include all the parts of the flower that you want showing. The petals, the center, and the stem. I suggest grabbing something to catch the excess water. I had a jar lid handy and it worked well. You could use a plastic container, a plate, or even a sink. Use a pipette, or any method you’re comfortable with, to add your water. Make sure to tilt the rock in the direction you want the paint to flow. If you have a darker color, or a color that you just don’t want to blend too far, you can dab it with a wet paint brush. Then try to drip off the extra. I grabbed a coffee filter to dab off the extra paint. This will help the rock dry faster and control the bleeding of the colors. 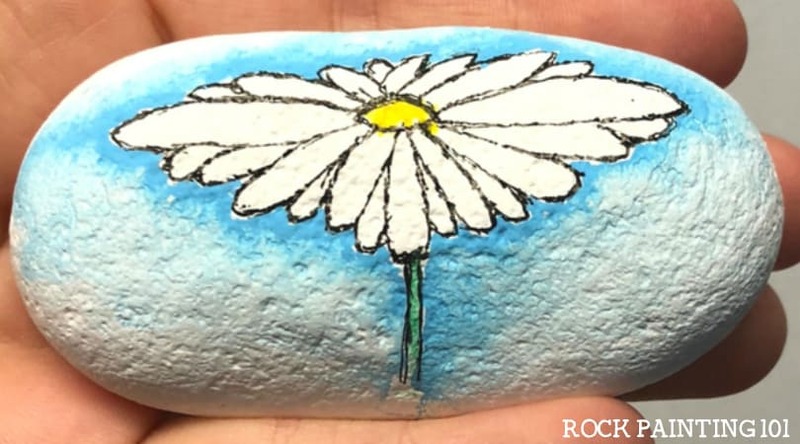 Once the rock is dry, take the fine tipped black pen and sketch the outline of the flower rock. Make sure to give these a couple good coats of sealer since it’s a washable marker. I suggest your first use a very light spray or if you use brush on sealers dab on. So you do not make the colors run again. Once that is dry follow up with a one or two more coats. 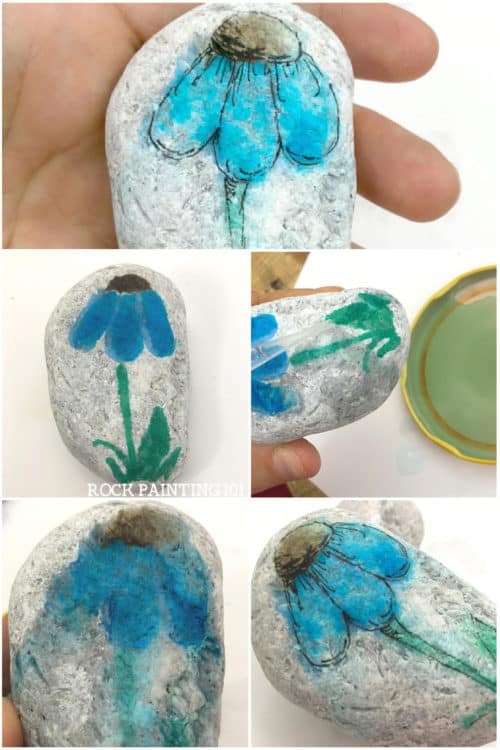 How to paint a flower on rocks! 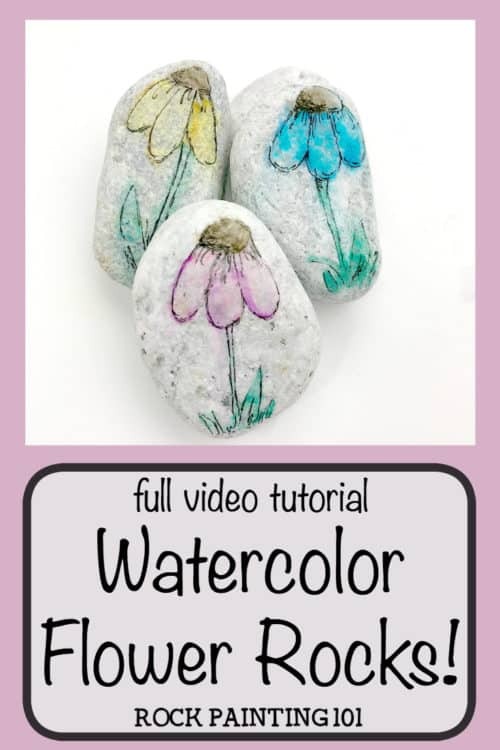 If you love the look of watercolors on rocks, you can try this rock painting technique too. It creates a lovely watercolor effect! 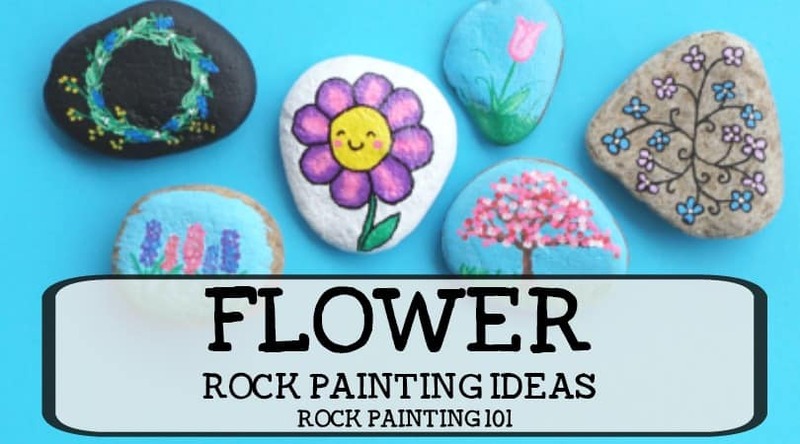 Pin this rock painting idea to your favorite Pinterest board!